Even when it's wet there's magic. We woke up to a pretty grey day and weather warnings for much of California. It seems they're going to get their entire annual rainfall in three days (or something like that). Whether that's truth or fiction, it doesn't change the fact that the forecast is torrential. So we packed our backpacks with a towel, spare socks, an extra sweater and enough money to buy a plastic poncho each once we got there. 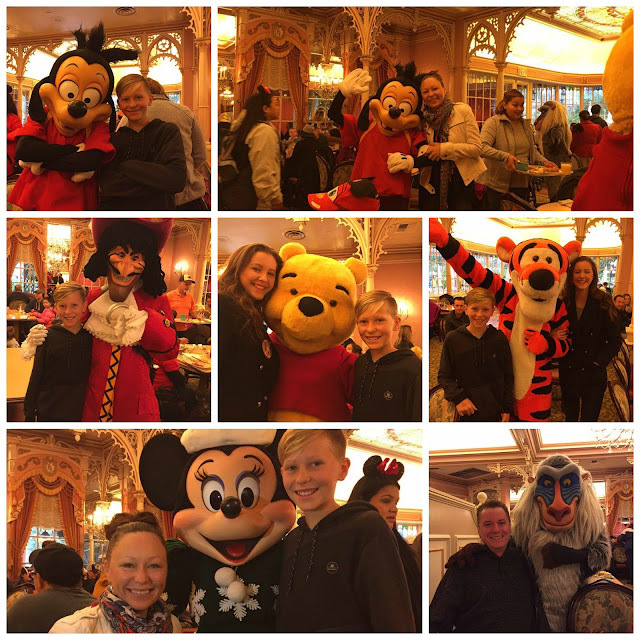 We headed straight for our breakfast booking at the Plaza Inn which is just inside the gates at Disney at the Walt Disney "round about" on Main Street. 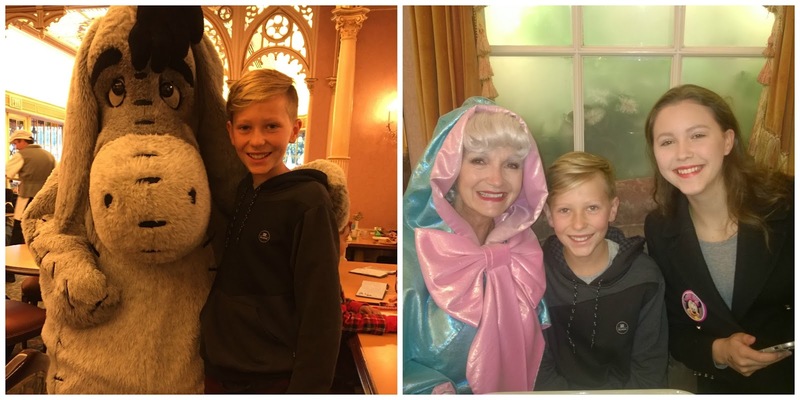 For around $33 USD a head we got a full buffet breakfast for a 8.00-9.00 am sitting time which guaranteed us access to many of the traditional Disney stars. 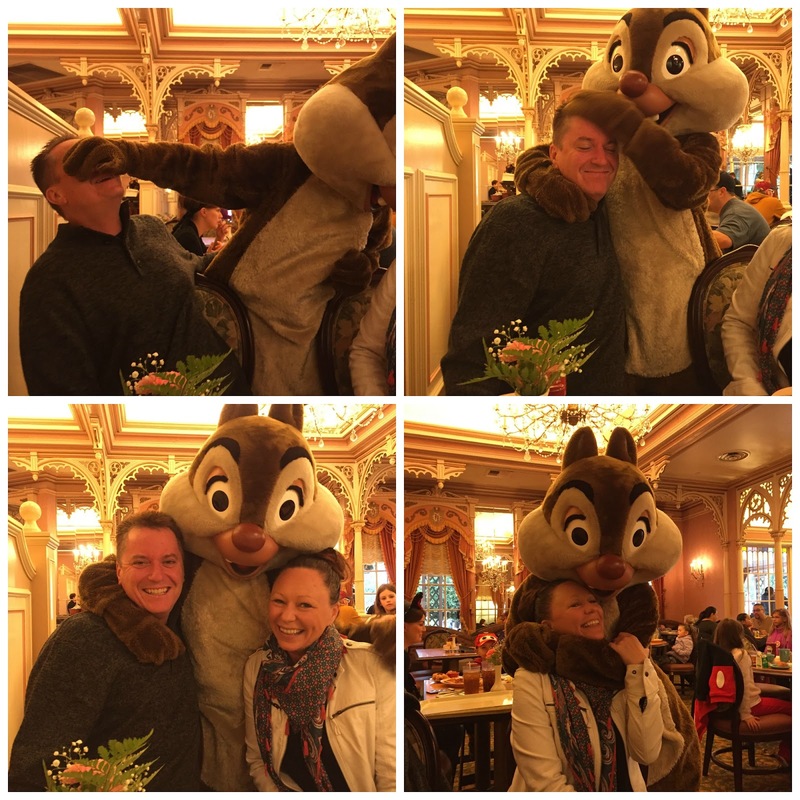 This is by far the best way to get up close and personal with the Disney crew. Today we got to hang out with The Fairy Godmother, Tigger. Pooh, Eeyore, Chip n Dale (Dale is an absolute riot and a major flirt), Captain Hook, Max (Goofy's son) and Minnie Mouse. From there we battled the torrential rain and joined the masses as we lined up for Star Tours, Hyperspace Mountain, Buzz Lightyear Astro Blasters and the Finding Nemo Submarine Voyage. The plastic ponchos were enough to keep our heads, backpacks and torsos somewhat dry but not enough to protect our legs and feet. We had to come to terms with the fact that it would be a very wet day. 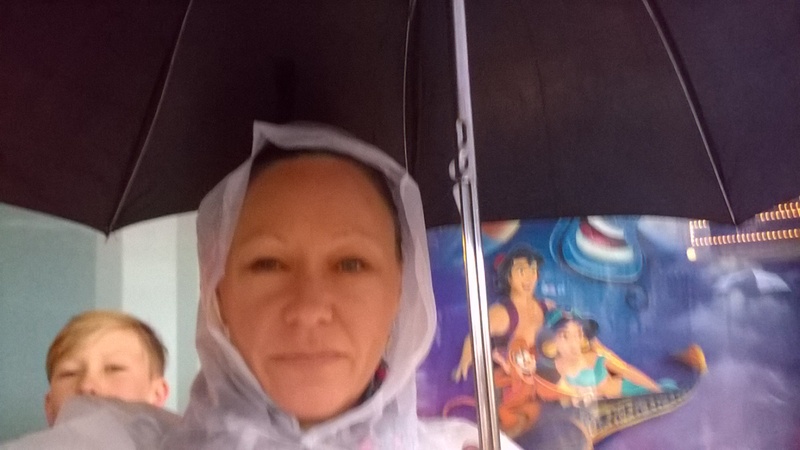 Despite the rain we continued on our trek through Disney to the Indiana Jones ride, Tarzan's Treehouse, Pirates of the Caribbean, the Jungle Cruise, the Matterhorn Bobsleds (where we got even more drenched than we were already) and the kids and the Hubster even lined up for Splash Mountain. I declined the invitation for more water. Of course we did It's a Small World. Disney is not Disney without the It's a Small World ride. By 3.00pm the rain eased up and we had clear skies for the rest of the afternoon. 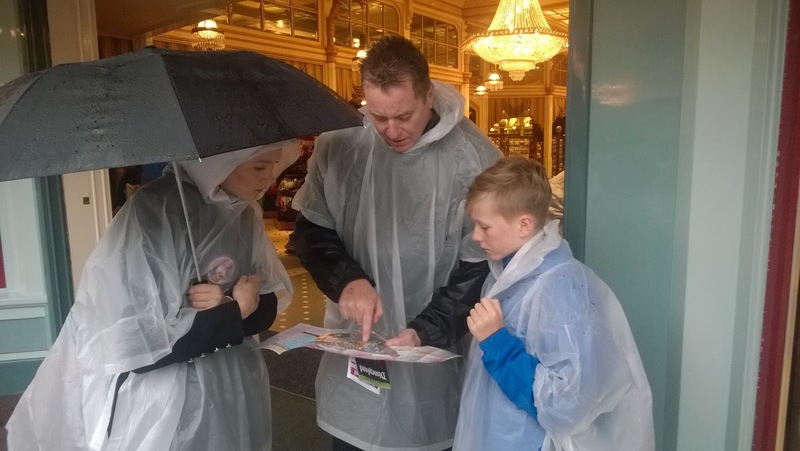 We were still a bit sodden and cold, but hey, it's Disney ... so we kept on going. We did a few rides for a second time including Indian Jones and Pirates of the Caribbean. We tried to do Space Mountain again but it had shut down for some reason. We had also tried to do Big Thunder Mountain but it was also closed today. By nightfall we were tired, cold, damp but satisfied. After 12 hours in the park we headed back to the hotel for room service and a good night's sleep. It's a shame the rain took away some of the fun. But it didn't steal our magic.